We’d love your help. 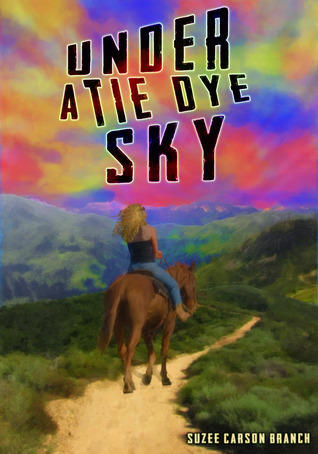 Let us know what’s wrong with this preview of Under A Tie Dye Sky by Suzee Carson Branch. A memoir using stories from the 1960s and a horse to take the journey with the author. A book about Love and Forgiveness. A maverick book with twists concerning spirituality. Hilarious and tragic, this story runs the gamut. The 5 star review I put on the book page refers to the Amazon.com site where the rating and reviews can be read. To ask other readers questions about Under A Tie Dye Sky, please sign up. An amazingly fresh look at growing through the heart of a true flower child. Iloved the journey. She took me with her; What a great trip..
Oops. I did not actually rate my own book! Thought it was a question about the rating on Amazon . . . The five star rating is posted on Amazon by 48 readers of Under A Tie Dye Sky as of January 22 2014. Living in Montana. Writing books and riding my horse in Montana. Loving my peeps and animals in Montana. Loving Montana period. And you. Once a Flower Child, always a Flower Child.